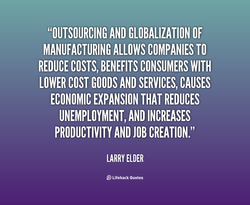 People can buy the kind of things they consider as normal and take for granted because of globalization and trade and use of supply chains and the reduction of the cost base of the manufacturing of some products. American firms are beginning to reproduce nonsustainable systems, to force the elite of India to become energy consumers of the kind that the U.S. has become. 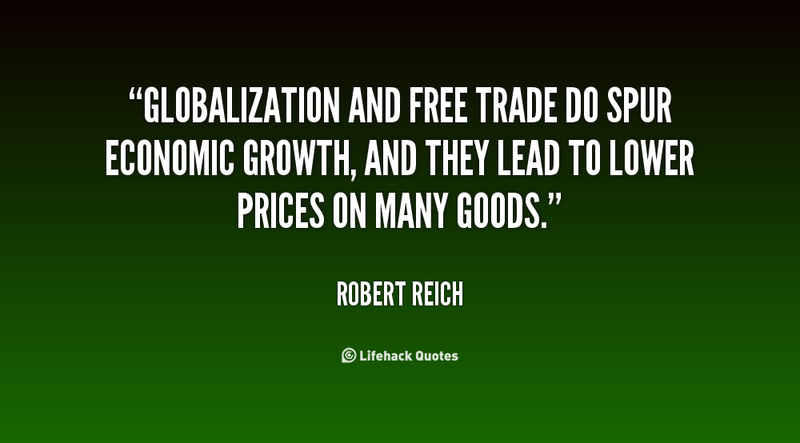 ThatÂs what globalization is about: Find markets where you can. It's particularly important that we reach out to everybody in our countries, those who feel disaffected, those who feel left behind by globalization and address their concerns in constructive ways as opposed to more destructive ways. 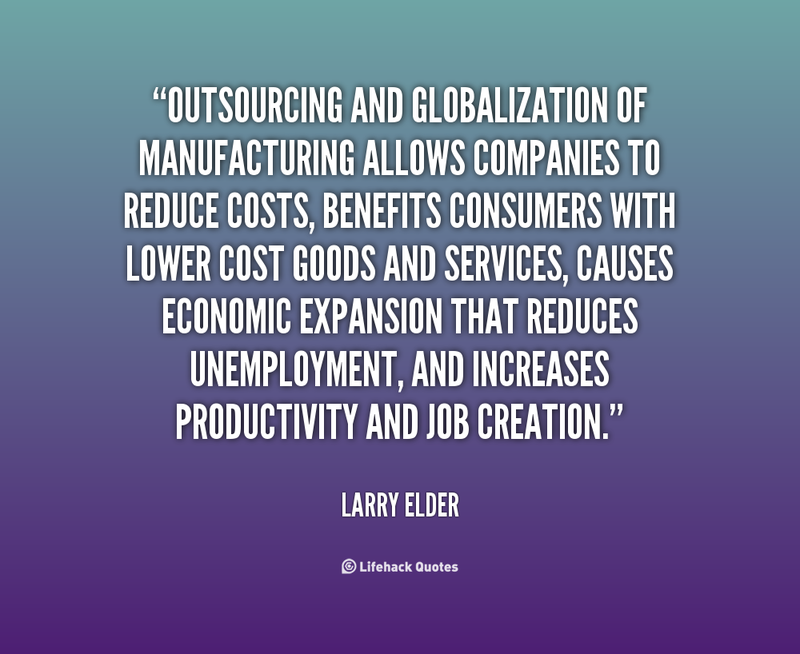 The rise of globalization, the rise of finance capital, the elimination of the manufacturing base, the decimation of the working class, particularly in terms of those who had some comforts that approximated what the middle class had. We are committed with our lives to building a different model and a different future for humanity, the Earth, and other species. 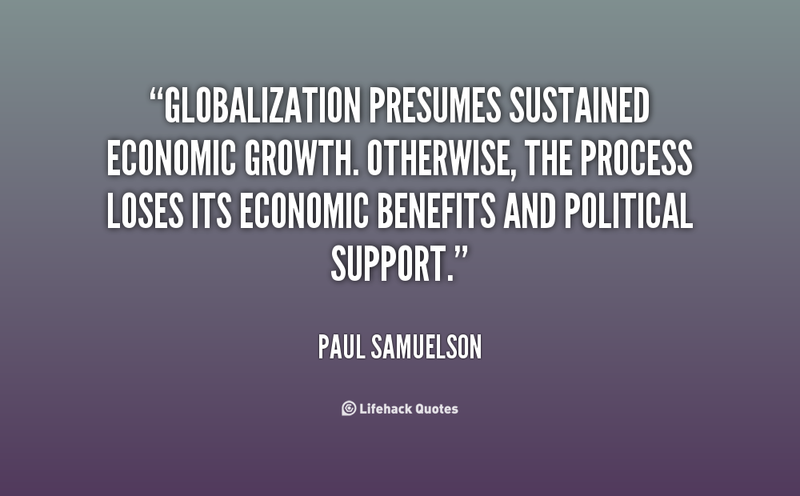 We have envisaged a moral alternative to economic globalization and we will not rest until we see it realized. My second piece of advice is to stay global. 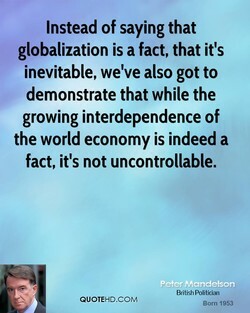 As the world continues to change and we become more connected to each other, globalization will bring both benefits and disruptions to our lives. But either way, it's here, and it's not going away. 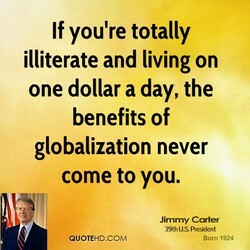 I recognize that globalization has helped many people rise out of poverty, but it has also damned many others to starve to death. 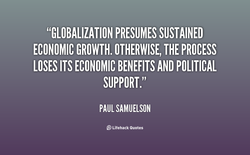 It is true that global wealth is growing in absolute terms, but inequalities have also grown and new poverty arisen. 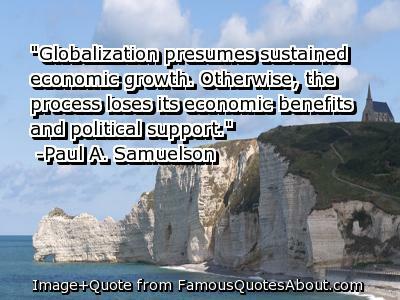 If globalization is a sphere, where each point is equidistant from the centre, then it isn't good because it annuls each of us. 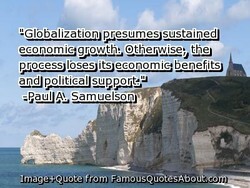 But if globalization joins us as a polyhedron where we're all together but conserves the dignity of each ... that's good. If the constitutional treaty is rejected it will be back to square one, just at a time when we want Europe to be a more effective force for good in the world, when we need to buttress ourselves against the pressures and insecurities of globalization. 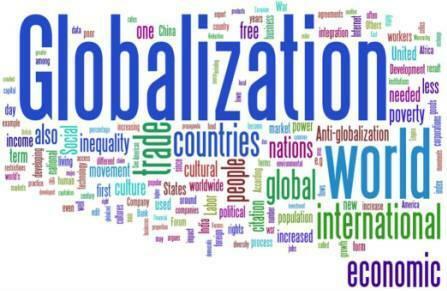 There are dangers that globalization increases inequality. There are dangers that because capital is mobile and workers are not, if we are not providing them sufficient protection, that they can be left behind in this process. And that's what we have to focus on. English is big business and languages are dying as never before. Is there a connection? 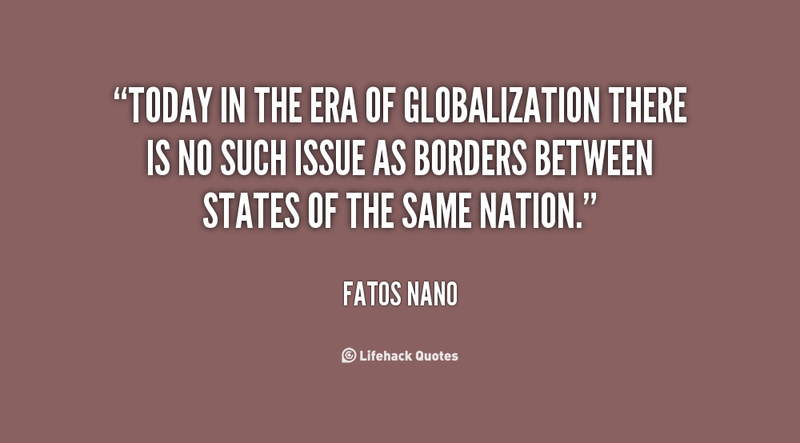 Is this another manifestation of McDonaldisation â the undesirable face of globalization? Do we want to lose the variety of languages and all the rich culture that comes with them? 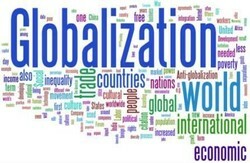 In this time of globalization, with all its advantages, the poor are the most vulnerable to having their traditions, relationships and knowledge and skills ignored and denigrated, and experiencing development with a great sense of trauma, loss and social disconnectedness. 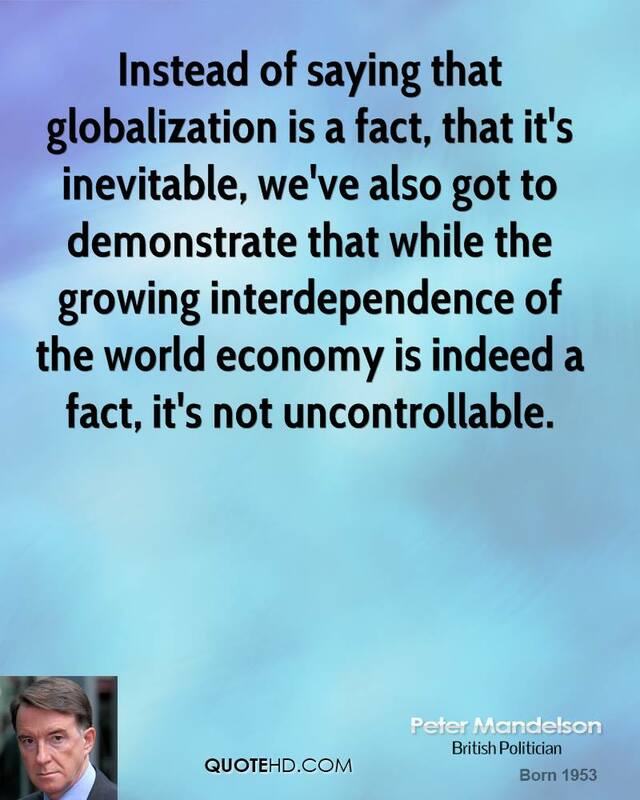 The anti-globalization movement is one of the biggest globalized events of the contemporary world, people coming from everywhere, ÂAustralia, Indonesia, Britain, India, Poland, Germany, South AfricaÂto demonstrate in Seattle or Quebec. 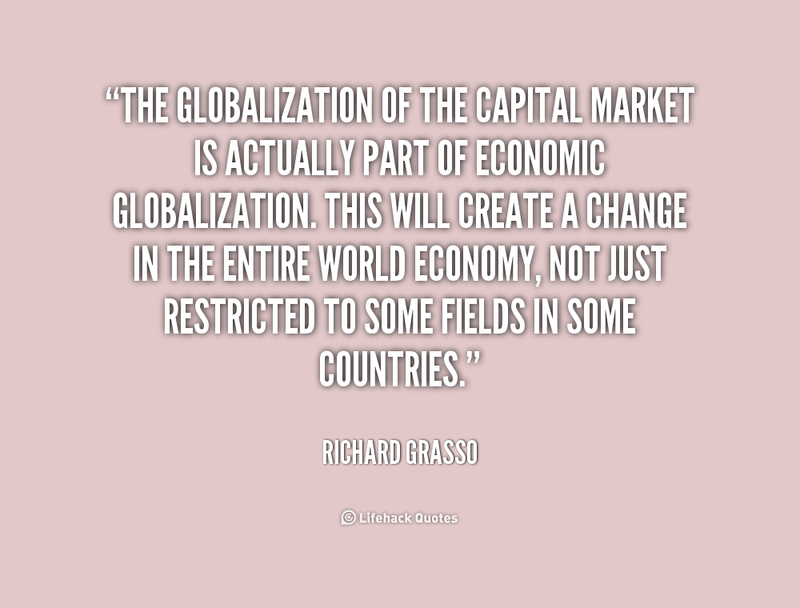 What could be more global than that? GandhiÂs idea of swadeshiÂthat local societies should put their own resources and capacities to use to meet their needs as a basic element of freedomÂis becoming increasingly relevant. We cannot afford to forget that we need self-rule, especially in this world of globalization. 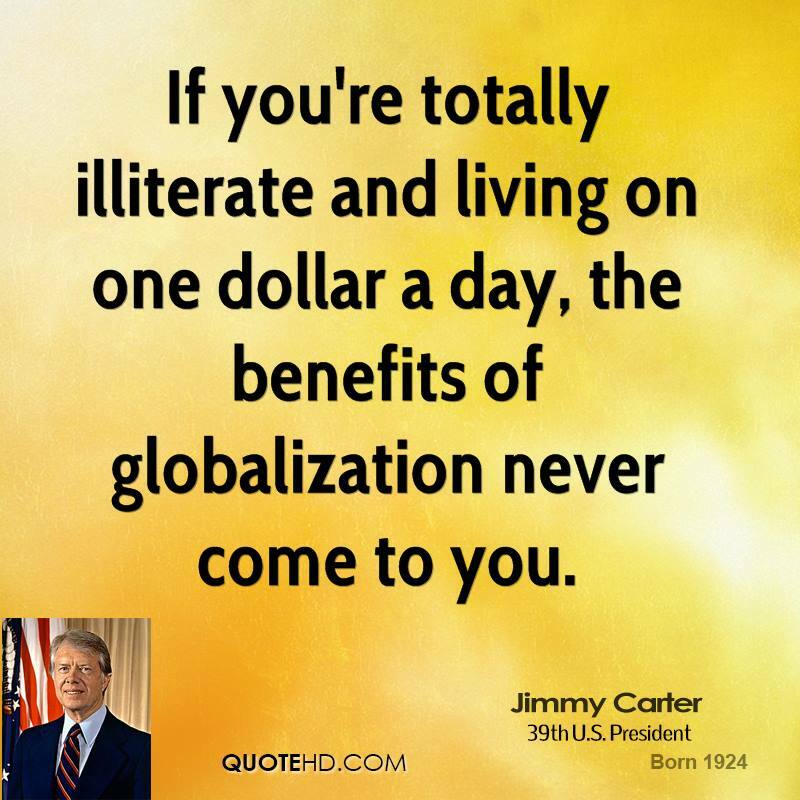 But in general, as countries get wealthier, there's going to be more savings, which means you're going to have intermediation. 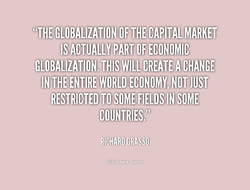 So part of it is just the huge growth in wealth, and part of it was globalization - these companies, these clients getting much bigger and much more global.